We are all familiar with that distinct buzzing next to our ear, and more often than not, it belongs to a Musca domestica, or the common House Fly. 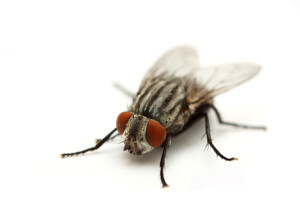 Harboring over 100 different pathogenic organisms, the House Fly can be more than merely a nuisance. One or two stray flies are nothing to be concerned about, but problems arise when they are present in number, laying eggs in places other than the usual garbage bin or leftover food. The Moth Fly is also known as the drain fly or sewer fly, as a result of its typical breeding sites. Despite breeding in sewage, Moth Flies are not known to transmit human disease. However, cases of bronchial asthma have been traced to inhaling dust comprised of dead Moth Fly parts. The Phorid Fly, commonly known as The Scuttle Fly, is a concern in healthcare facilities due to their unsanitary habits. Larvae breed in moist, decaying matter like fungi, carrion or dung. Food sources include residue found in places such as garbage disposals, the bottom of trash receptacles and faulty septic systems. Fungus gnats, also a type of fly, are common to damp areas. Although typically associated with over-watered plants, they also breed in places marked by moisture problems or water leaks. As you can see, there are many types of flies. Treatment varies among the different types, making proper identification important when addressing a fly condition. Location is also a factor. With both of these things in mind, a pre-treatment inspection is generally required, in order to determine the best approach to remediation.